Leonard Cooper won the 2013 Jeopardy Teen Tournament in a way unlike any other. 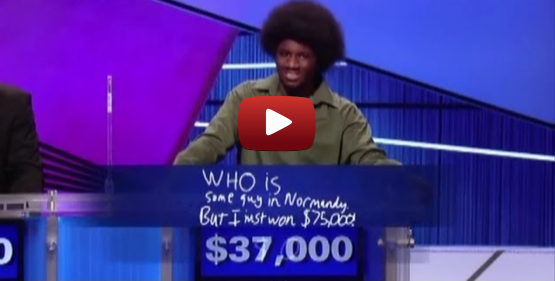 His hilarious personality didn't hold him back as as he answered several questions throughout the tournament including his final answer, which helped him win $75,000. Found on Pinterest: Isn't it interesting?